Live With Outrageous Energy: Never Be Sick Again! ON SALE NOW: Karen's signature presentation is now available on this amazing audio program you can access right here on I2H2E, or download and take on the go! It will keep you energized! Learn about your organs, glands and how to live Dis-Ease free with ENERGY!!! 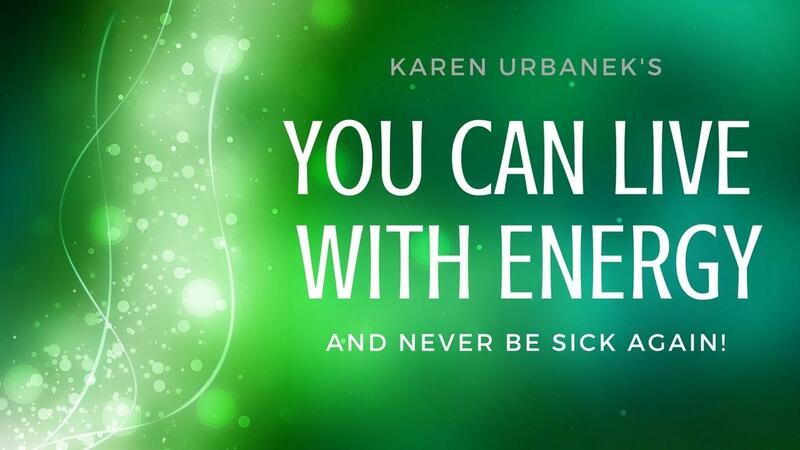 You CAN Live With Energy And Never Be Sick Again! ON SALE NOW for HALF OFF at ONLY $4.99! This digital audio is yours to access right now from your smart phone or computer. It's a 90 Minute lecture that will hook you from the very first minute. Get this raved about audio class at half-price right now! Yes, please sign me up for weekly health information emails. A healthy, life, family and career starts here with you! Enjoy your journey!